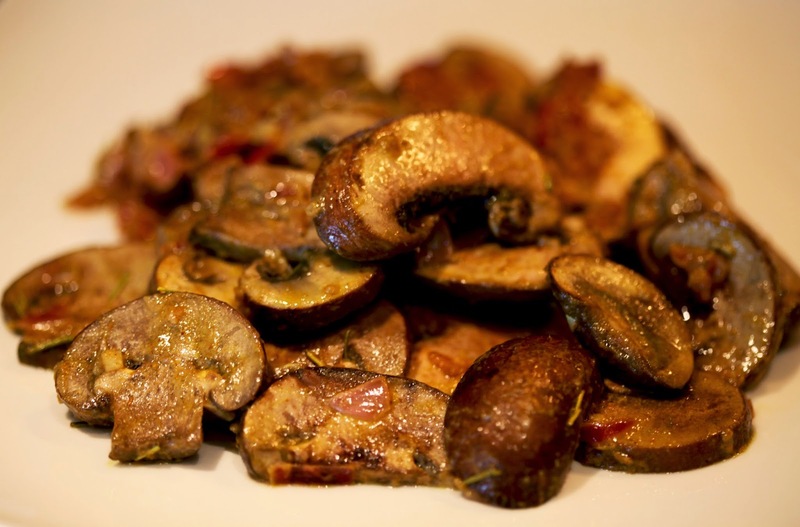 Sauteed Mushrooms with Onions, Garlic, and Rosemary. These mushrooms turned out so good, I am sad I only made enough for two side dishes or one entree. 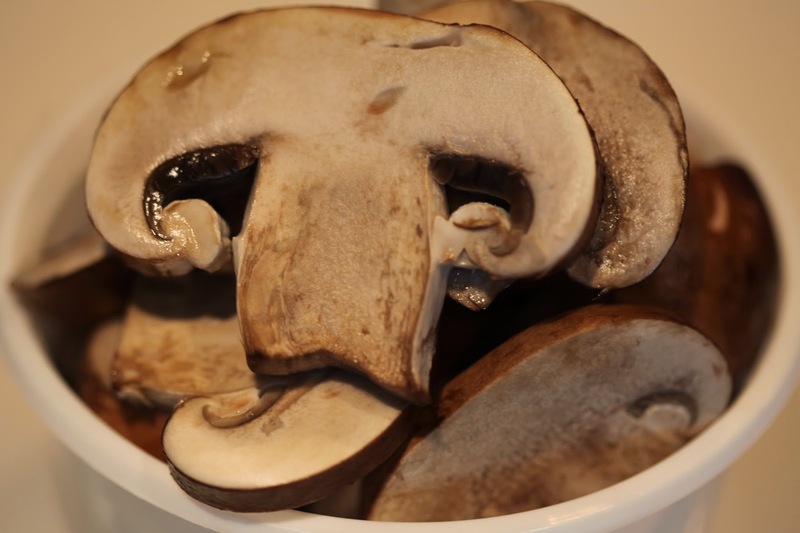 Next time I’m bringing a side to a potluck, I’m going to consider making a large batch of these mushrooms. First step was to chop up red onion. My recommendation would be to go with 1/4 cup, although I used 1/2 cup for mine. 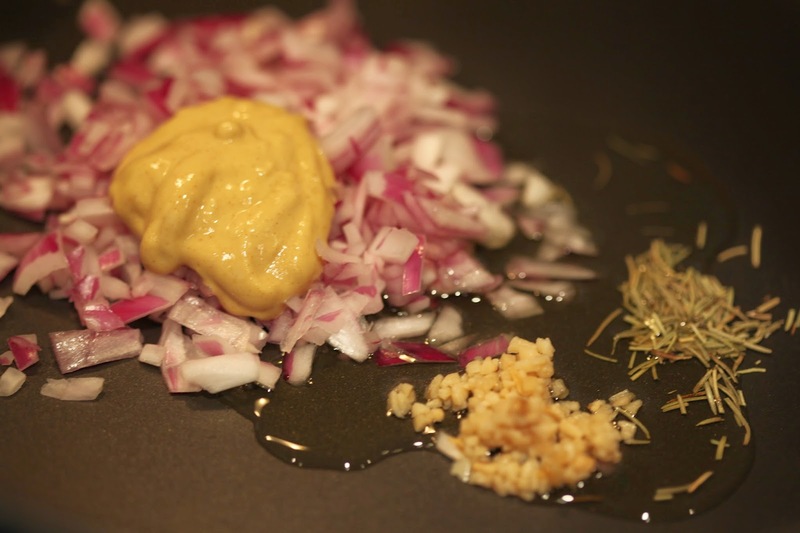 In a saute pan, I heated up the onion with 1 teaspoon of minced garlic, 2 teaspoons of dijon mustard, 1 teaspoon of rosemary, and 2 tablespoons of olive oil. As the garlic started to brown and the onions started to become translucent, I added 2 teaspoons of apple cider vinegar. Then I added 1 cup of sliced mushrooms and stirred the mixture. Adding to that just a touch of turmeric, ground ginger, ground mustard, cumin, coriander, and salt, I kept stirring. 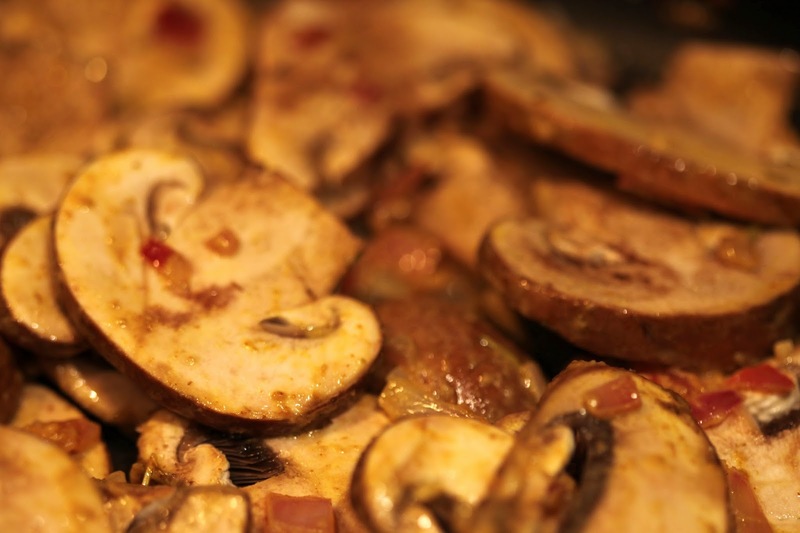 The turmeric, onions, mustard, and rosemary flavors really give these mushrooms a special flavor. Total cook time, 15 minutes.